The White House has dropped plans to slash the number of US soldiers in Afghanistan to 5,500 this year, AP reported. Official sources claim the withdrawal is likely to be much slower and have 9,800 US troops remain in Afghanistan well into 2016. The report, citing unnamed officials, states that no final decision has been made, but discussions are ongoing about keeping US troops in Afghanistan or nearby even after 2016. It is believed that US President Barack Obama will use Afghan President Ashraf Ghani’s visit later this month as an opportunity to announce a new withdrawal deadline. In the past, Ghani made clear he wanted the pace of US withdrawal to be slower. Obama is scheduled to host Ghani for a number of meetings and a working lunch at the White House on March 24. Over the past several weeks, US officials have been dropping hints about the possible delay. In February, Defense Secretary Ashton Carter said while visiting Kabul that America was looking into the idea. Under the current arrangement, the 11,000-strong US force should be cut to roughly half of that by the end of 2015, before pulling out altogether the following year. By the end of 2016, US military presence is expected to shrink to a “normal” embassy security contingent. During the most active stages of the war in Afghanistan, the US and NATO had 130,000 of their troops participating in the conflict. 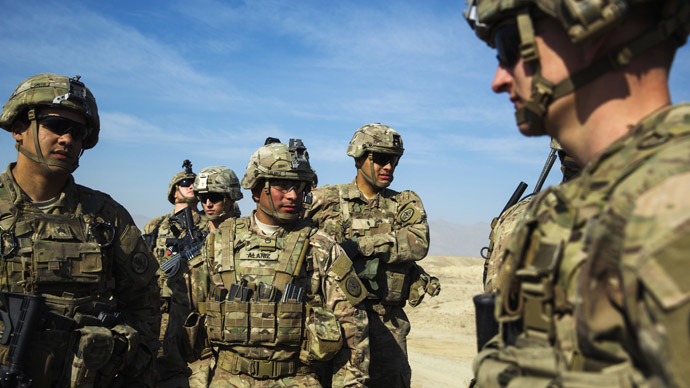 Last year, the mission wrapped up its combat operations against the insurgency and left a contingent of over 11,000 US troops to train Afghanistan’s 350,000 soldiers and police.